No matter how many days pass by, we at GLL believe that the outcome of the whole day with global Lithuanians has value which stays and grows in the connections people made and in the projects that have started or continue. Re-live the exceptional emotions of the Ceremony in full and in short. Admire the stories and sincerity of the Laureates. Find yourself in the album of historic pictures. Happy and proud for this year Laureate of Global Lithuanian Awards in the category of Investments Attracted to Lithuania, founder of leading company in cyber security CUJO AI Einaras von Gravrock, who, along with the President of Lithuania, represented Lithuania at the World Economic Forum in Davos. He joined the panel addressing the risks and issues of cybersecurity in the connected world. Watch the discussion. Find out more about the Laureate. Laureate of Global Lithuanian Awards, founder of the robotics centre in Šilutė Eivanas Maksvytis came back from Sweden and Japan to take his personal part in the development of Lithuania as prosperous, technologically advanced country. He brought back his experience and connections to his home town with belief in its amazing potential. Listen to his interview on LRT. Find out more about the personal story of the Laureate. 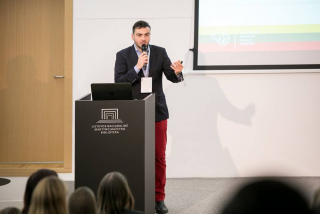 The third Forum of Global Lithuanian Professionals has once again proved highly successful for its content: GLL Talks with young rule-breakers on the stage, familiar faces in new roles of persuasive speakers, and interactive workshops charged for further action and projects presented below to your attention. Relive it in short - VIDEO. Hear what the participants think of the Forum on LRT Radio. Re-listen to the GLL Talks. Find yourself among the greatest global minds in the event's album. 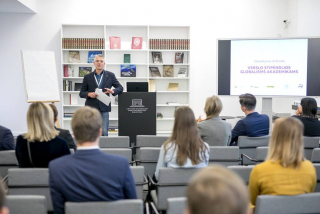 The workshop brought together the representatives of all sectors of Lithuanian startup system - Business Angels, newly established startup accelerators, risk capital funds, related state institutions (Invest LT, Enterprise LT, Invega) and startups themselves. They were asked to develop ideas on three important questions: 1) how to bring startups to international level 2) what would encourage global professionals to invest in Lithuanian startups 3) what are the expectations from LitBan for year 2019? All participants of the startup community admit 1) the lack of global thinking and ambition, 2) the need for well-structured and comprehensive source of information meant for global and local startup community, 3) the need for broader public event and national attention to the startup community. 1) LitBan will apply for funding to the Council of Culture for the co-financing of training to Lithuanian startups by global professionals on the topics of vocabulary of global startup eco-system, global mindset and marketing tools. 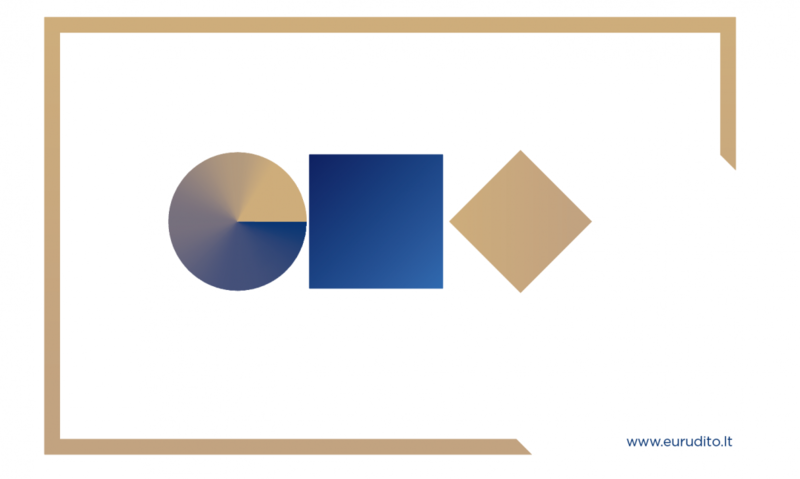 2) For more information on startup ecosystem do follow and subscribe to the following - https://startupbound.carrd.co/; http://www.bznstart.lt/startup; https://www.verslilietuva.lt/. There will be more, stay tuned. 3) LitBan has been negotiating with broadcasting companies for the implementation of StartUp X Factor as the project for startup competition, training, acceleration and crowd-funding and attract national attention to the startup ecosystem. 1) Attraction, selection and integration: key aspects are the independent selection jury, concentration on the developed areas in Lithuania adding value to existing ecosystem, tight cooperation with faculty administration faculties with wide network of the Lithuanian PHDs abroad, and friendly, hospitable academic environment. 2) The role of business: based on recommendations from functioning system, besides giving money, businesses shall take an active part in communicating with invited scientists, supported scholars shall carry the name of the fund or corporation next to their official representation, they shall also dedicate an extensive amount of time to work with students and match the academic expectations. 3) NEW FUND: on February 15, one of the biggest investors in Lithuania, American Lithuanian Marius Jakulis Jason will present to the public his personal fund of 3.5 mln USD, which will be dedicated to attract talent and expertise to Lithuania. One of the main activities will be to fund salaries of the PHD Lithuanians to come back and work at Lithuanian universities. More information is coming soon! 1) Comprehensive environment for foreign students to be engaged and integrated into Lithuanian labor market. In September 2018 Lithuanian Government agreed on the importance of foreign student integration and assigned “Work in Lithuania” program to create integration framework for foreign students. “Work in Lithuania” will assign a project manager for working with foreign students, universities and companies in order to encourage the recruitment of foreign students. The team has already started organizing small events for foreign students about migration procedures and situation of the Lithuanian labor market. 2) Comprehensive measures for integration of foreigners into Lithuanian labor market and social life. Ministry of Economy and Innovations together with Invest Lithuania has developed a foreigner integration model. It includes specific trainings, information means and other measures that help foreigners and their spouses to integrate into Lithuanian society. It will be launched in 2019. LT Big Brother finished the 10th season with traditional awards meant to notice and reward the most pro-active and hardworking Mentee, the most engaging Mentor, the most organised regional leader, and the most memorable event. Everybody agreed - the more occasions to meet and network, the more bright ideas are born. Enjoy the joyful moments of the night in the photo album. GLL program Talent for Lithuania has stepped into the forth year of active attraction of young professionals to start their career in Lithuania. It has grown into the hub of innovative companies supporting the mission and young professionals 80 per cent of whom stay. In order to cope with growth, GLL opened the position for the Communications Coordinator of this program - APPLY HERE. This year, program "We Connect Lithuania" successfully developed by GLL and The Kazickas Family Foundation in 2018 doubles the impact and will invite you to experience modern Lithuania in two programs: "We Connect Lithuania" developed by GLL and meant for the off-springs of the community members, and "Bring Together Lithuania" developed by Kamilė Naraitė and supported by The Kazickas Family Foundation. GLL congratulated four business partners, American Lithuanians, who successfully developed a multi-million logistics company GP Transco, and chose Lithuania for further expansion. This decision was inspired by patriotic feelings as well as Lithuanian talent in technology and logistics. No matter what changes the New Year brings along, the most important traditions shall be kept and cherished. You are invited to be the first to hear life the news of GLL development, to catch up with the growing community of returning globals and to start the Freedom Celebration of V16. On May 10 - 12, all mentors of all regions of LT Big Brother are invited to get together in Klaipėda for a sailing weekend. No need for experience, the most essential thing is to get to know each other and learn from each other through active entertainment. If your children are looking to reconnect with the Lithuanian roots, strengthen their Lithuanian language skills, and experience fun summer activities in a supervised and safe environment, Erudito licejus - an innovative private school in the heart of Kaunas - invites 10-16 year old children and teens for a summer adventure comprised of intensive Lithuanian language courses, sporty, and immersive cultural activities in the afternoons and evenings. All inclusive (full board) and Day Camp options available. For more information, please click here.